The Obama administration has opposed the Republican-controlled Congress' move to block $450 million in aid to Pakistan for failing to "demonstrate its commitment" and taking action against the Haqqani network, saying it will "complicate progress" in bilateral ties. A White House statement in this regard along with other objections of the administration to NDAA-2017 came as the bill made its way to the House of Representatives from House Armed Services Committee. The White House asserted that it shares the view of the lawmakers with regard to the Haqqani network, but such a move would "unnecessarily complicate progress" in bilateral ties. Pakistan continues to conduct operations against Haqqanis. "The Administration objects to section 1212 (of HR 4919), which would make $450 million of CSF (Coalition Support Fund) to Pakistan ineligible for the secretary of defense's waiver authority unless the secretary provides a certification to the Congressional defense committees," the White House said in its statement. "We share the committee's concerns regarding the threat posed to our forces and interests in Afghanistan by the Haqqani Network, and we continue to engage with Pakistan at the highest levels regarding the need for concerted action specifically against the group," the White House said. "However, the restriction in section 1212 would unnecessarily complicate progress in our bilateral relationship on this issue and would limit the Secretary of Defense's ability to act in the US national security interest," it added. 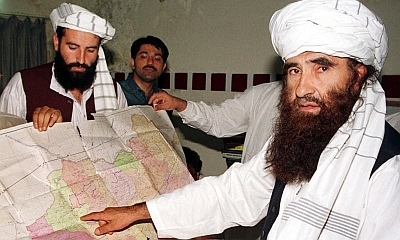 Waziristan as a safe haven and is actively coordinating with Afghanistan to restrict the movement of terrorists, including the Haqqani Network, along the Pakistan-Afghanistan border. There is similar certification requirement in the current fiscal 2016 ending on September 31, 2016, but the amount is $300 million. The defence secretary has not been able to give necessary certification for the release of such a fund to Pakistan so far. The Obama administration has opposed any move to either restrict or condition US military aid to Pakistan arguing that its ties with Islamabad are very important.